Last year I ran into Ariane Sherine. 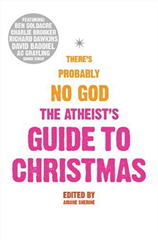 She had found that no charity would publicly take money from a book written by atheists at Christmas, since Christians give so much money for good work, and they didn’t want to annoy them. Luckily the Terence Higgins Trust stepped up to this bizarre challenge, which is excellent, because Aids is important, and THT do good stuff (especially on education), and they hold the line on evidence and common sense, as witnessed by their immediate response of “yes please” when offered cash. So, support THT, buy it now. 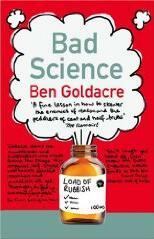 There are chapters by Simon le Bon, Charlie Brooker, Richard Dawkins, David Baddiel, AC Grayling, and many many more. My chapter is below, it is about the power of ideas alone to do good and harm, and it is filled with mawkish Christmas cheer. In other news, Manto Tshabala-Msimang – South Africa’s health minister, who presided over that horrific period of institutionalised Aids denialism – has died today. You will have your own thoughts. Parliamentary select committees are one of the few places where you can see politicians sitting down and doing the kind of thing you’d actually want them to do, like thinking carefully about policy. This week the science and technology committee delivered its report on scientific developments relating to the Abortion Act, and even as a man with a very low boredom threshold, I genuinely recommend reading it for pleasure: because it is a masterclass in spotting fallacious science, and that is exactly what was offered up, in spades, by the anti-abortion activists who gave evidence.